Shelly Hutchinson is a choreographer, instructor, dancer, actress and producer in New York City. She has been a Contemporary and Musical Theater choreographer for “So You Think You Can Dance” Ukraine for the last four seasons, also on the creative teams and performed in operas such as Candide, Samson and Delilah, and Aida as associate choreographer and assistant director. Choreographer for adapted for stage version of Disney's High School Musical. TV appearances include MTV, CBS Morning Show, ABC, Saturday Night Live, Law & Order, Lipstick Jungle, Ugly Betty, Kings, HBO Miniseries “Mildred Pierce”, The Today Show, David Letterman, The Learning Channel, dancer for Wyclef Jean and in Lou Bega’s "Mambo #5". Performing credits include Radio City Music Hall, Warner Brothers Films, Disney, Off- Broadway and Regional Theatre, Broadway Bares, International Arts Festival in Italy, Care Wave Japan, National and European Tours including "Fame, the Musical", Bye Bye Birdie, Irene, and West Side Story, assistant choreographer for "Falco" , a multi- media show in Vienna, Austria based on the late 80's pop star. Currently choreographing for “Nix” as part of Planet Connections Theater Festival In New York City. Her work has recently been seen at City Center, Symphony Space, Merce Cunningham, Manhattan Movement Arts Center, and Salvatore Capezio Theater. 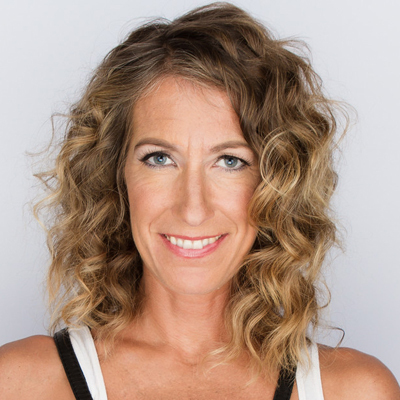 With 17 years of deep and diverse teaching experience with all levels and ages, she has taught at various studios in the US, Germany, Italy, Austria, Prague, Argentina, Japan, Costa Rica, Cirque Du Soleil, Broadway Dance Center, Steps on Broadway, Joffrey Ballet School, The Pulse, and Peridance Capezio Center in New York. Shelly continues to travel around the country for master classes, choreography, and private instruction. She is on faculty at Broadway Dance Center and Peridance Capezio Center, and currently producing a series of concerts entitled “New York Moves” to benefit various national charities. Also the Director of UNCOVERED CHOREOGRAPHY WORKSHOPS, a series of intensives based in New York City to help young dancers find their identities as choreographers. Warm up consists of varied exercises gathered around the principles of placement, proper alignment and strength, bringing awareness to your entire body. Using influences of Jazz, Modern, Ballet, Latin, Street Styles and Contemporary, phrases will be created for you to enliven your artistry, strengthen your musicality and explore what you're made of as a storyteller! In an extremely supportive and positive environment, we will always constructively focus on the importance of thorough and connected transitions, learn the value of traveling generously throughout the room, learn how to take risks, and find your deepest love for moving. Come with a willingness to grow, build your vocabulary, your athleticism and your confidence. The intention of the class is to leave you physically and artistically inspired! 11:30AM - 1:00PM Adv-Beg Cont.